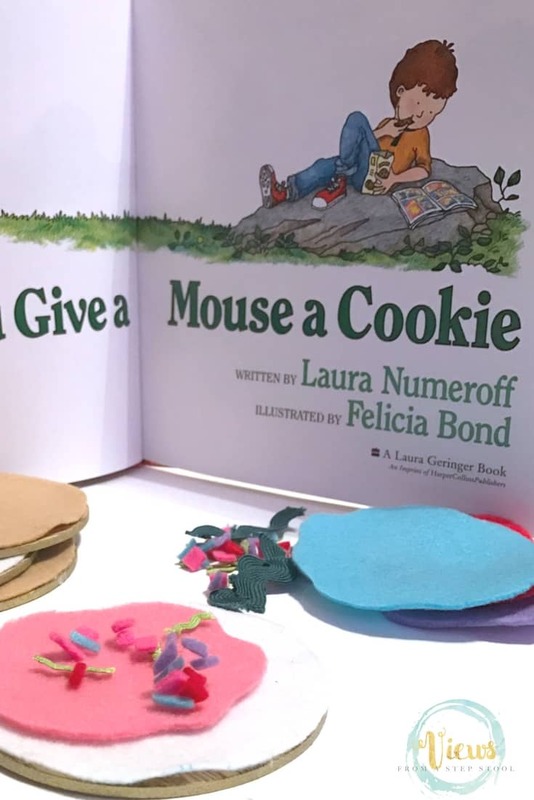 If You Give a Mouse a Cookie by Laura Numeroff is one of my absolute favorite children’s books. It’s a total classic that kids (and parents) get a kick out of. 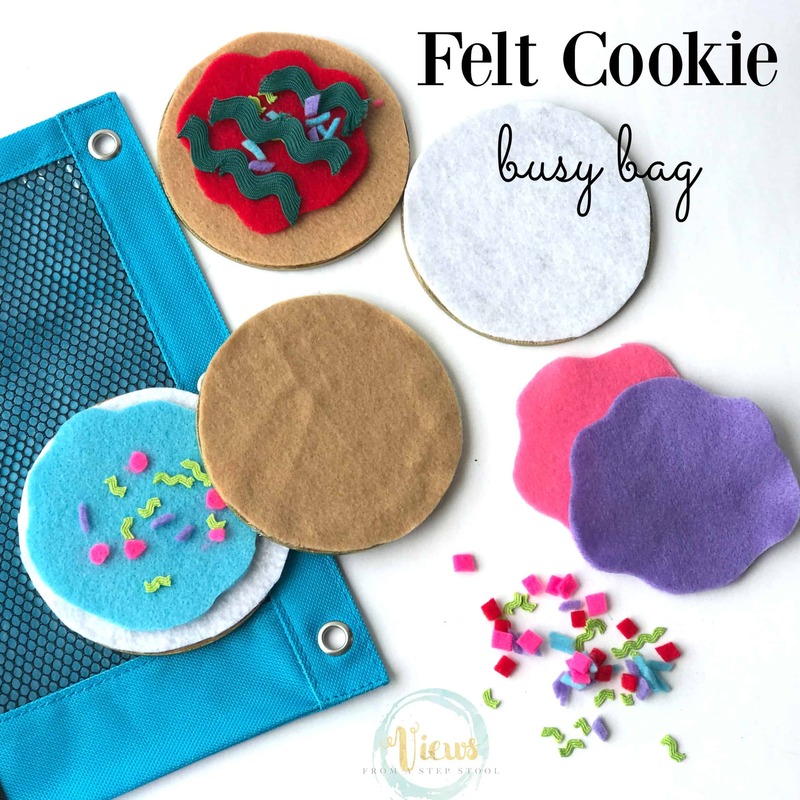 This felt cookie busy bag is perfect with it! As part of the Weekly Virtual Book Club for Kids, the weekly theme is ‘baking’. 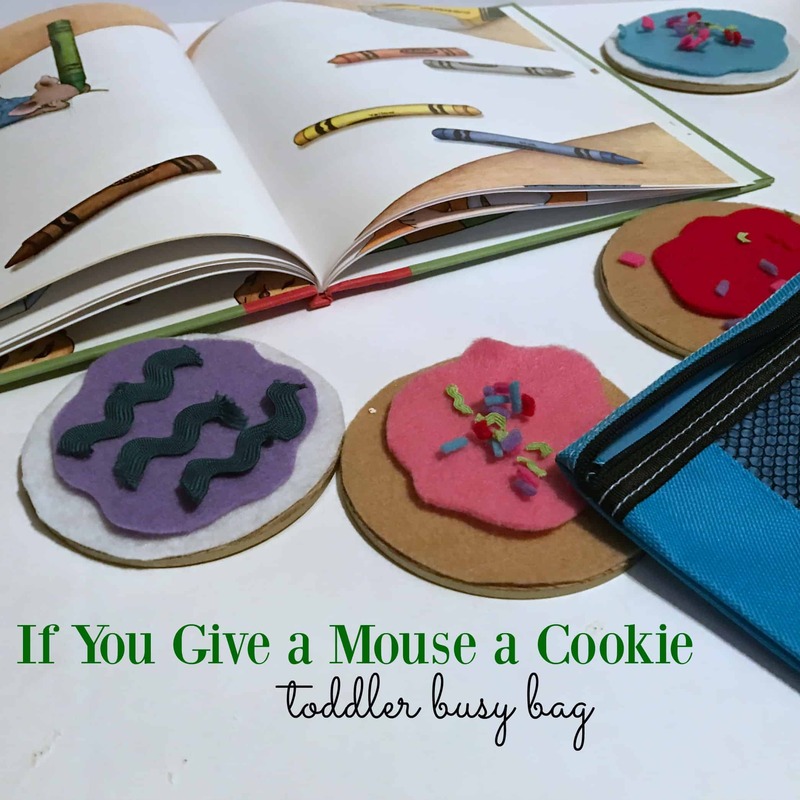 This busy bag is great for toddlers and preschoolers and allows for creativity and independent play in conjunction with this fun book! 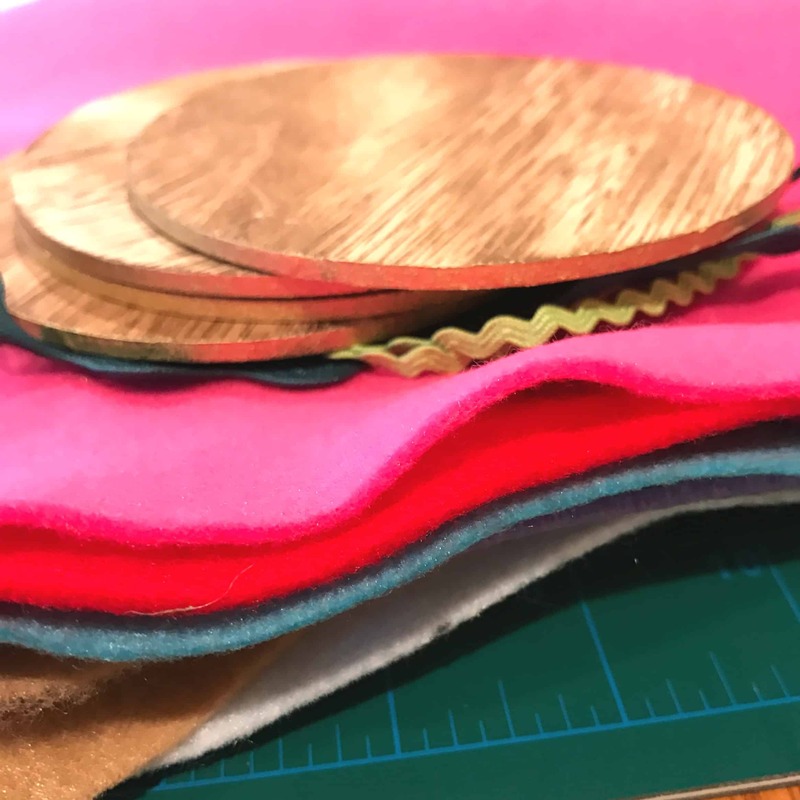 Trace the wooden round onto the neutral felt and cut. 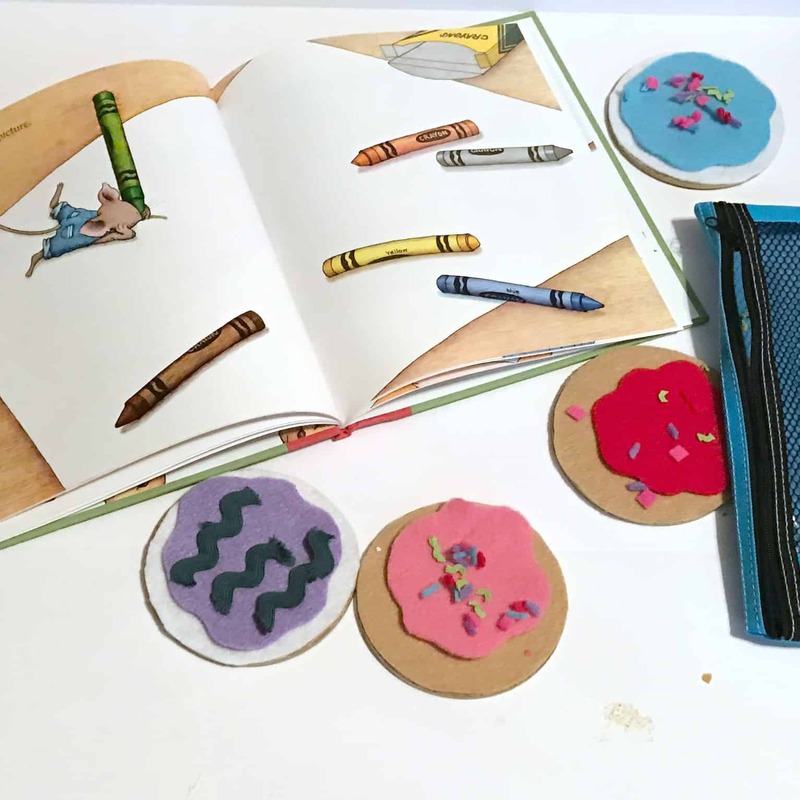 Hot glue the felt circle onto the wooden round to make the cookie. 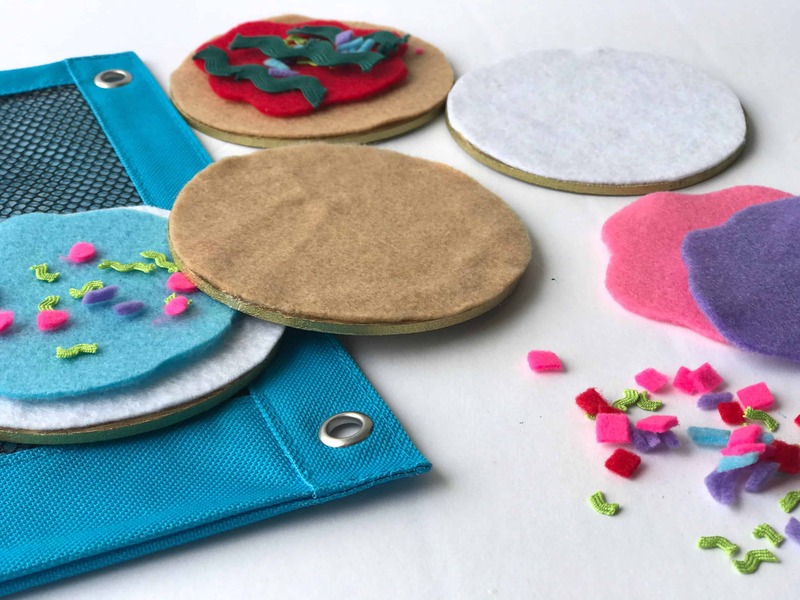 Cut frosting circles out of colored felt. 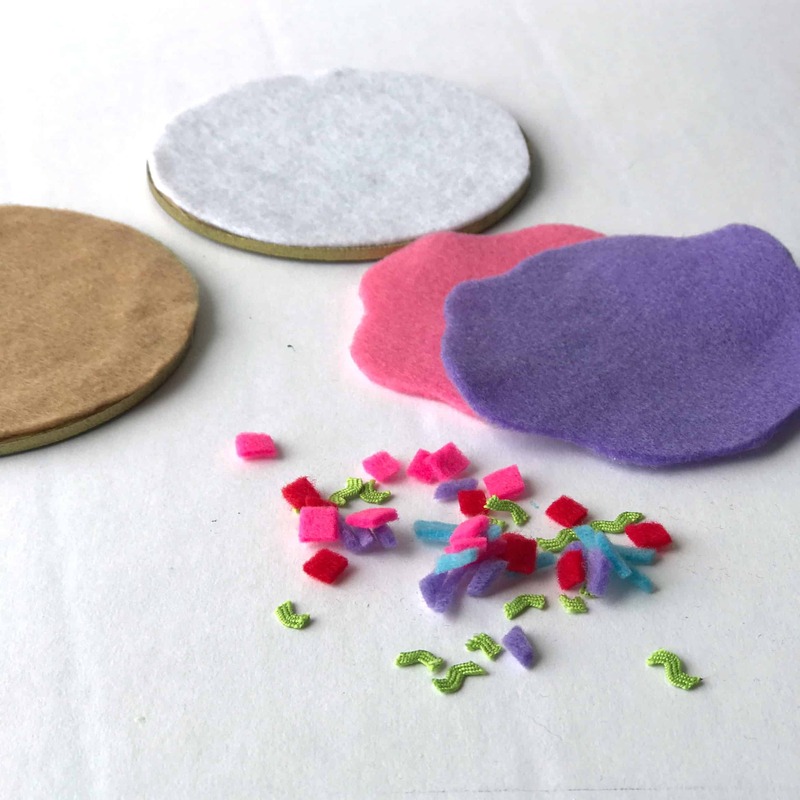 Cut out small pieces of felt for sprinkles. 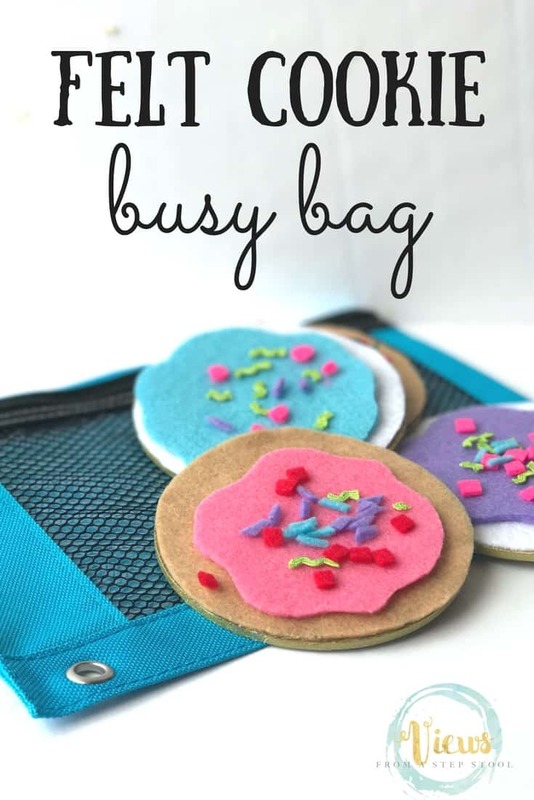 I like to keep busy bags in zippered pencil pouches because they are so easy to throw in my diaper bag or purse this way and help keep the busy bags convenient and accessible. 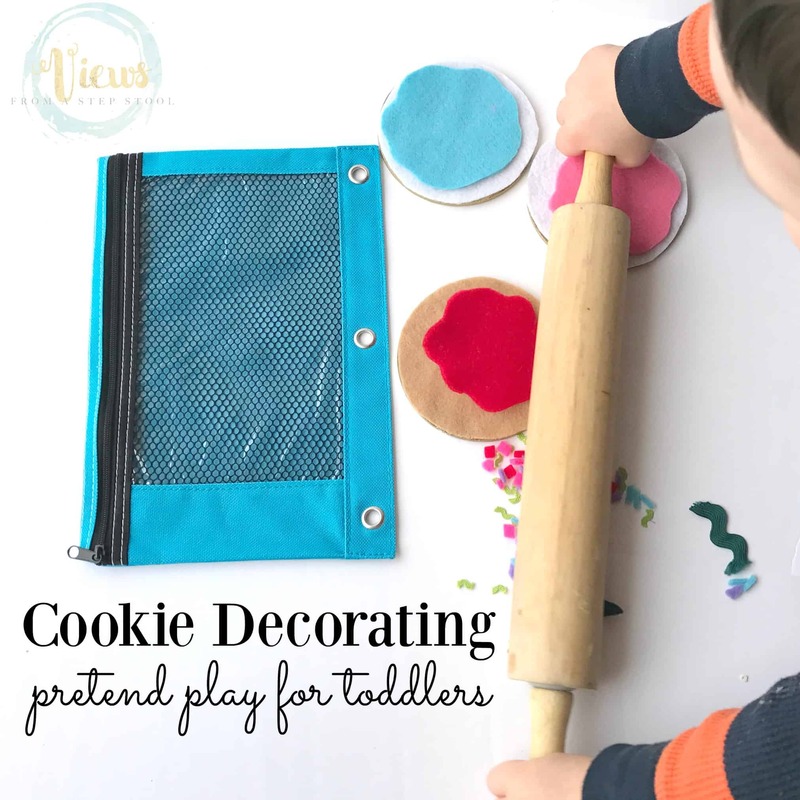 My toddler had so much fun decorating these cookies over and over! 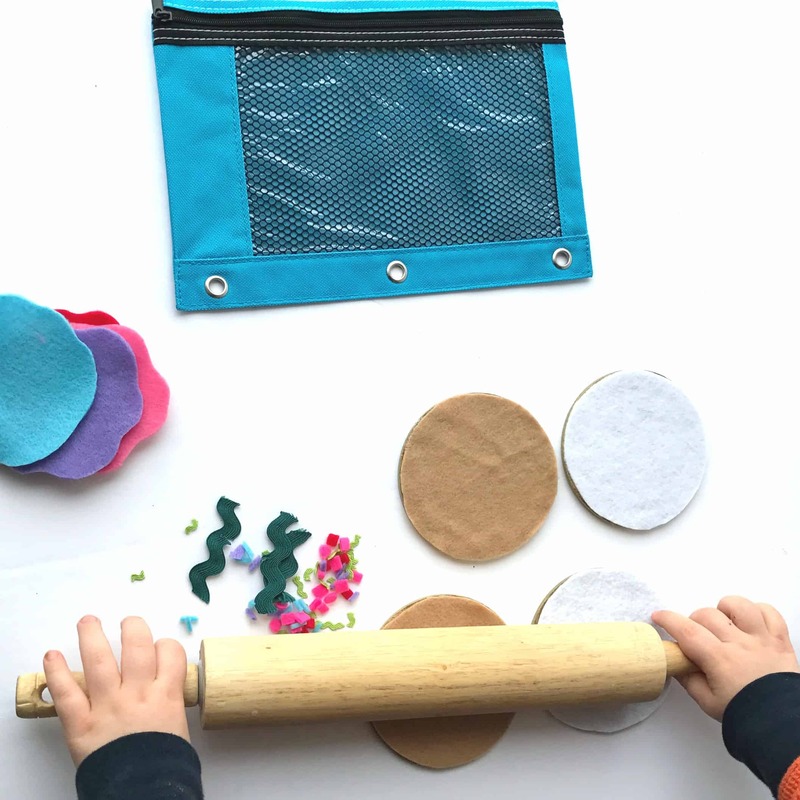 We even added a rolling pin to the mix for a little extra pretend play! 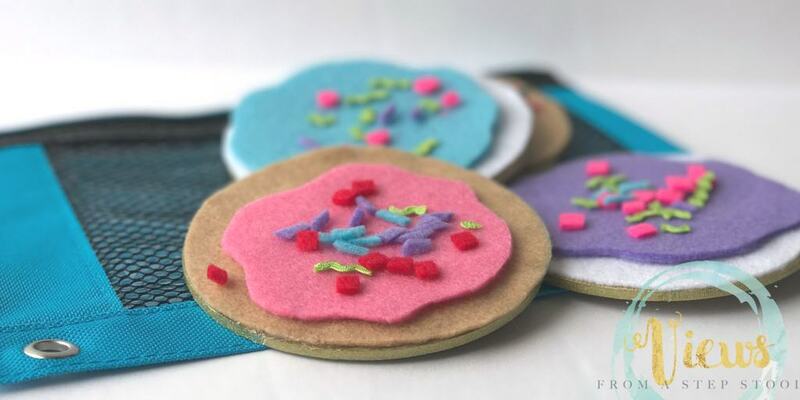 You could get really creative and make patterns and fun designs on your cookies. 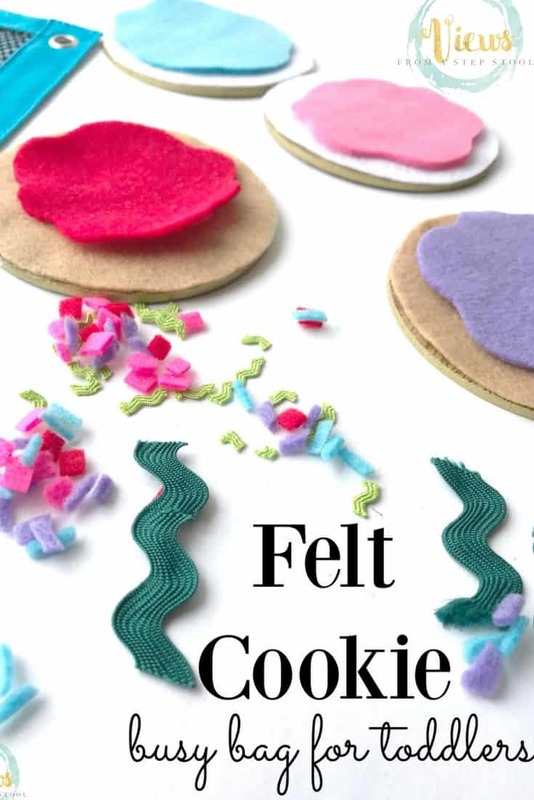 The act of pinching the felt sprinkles and placing them on the cookie is great fine motor and pre-handwriting practice for early learners. 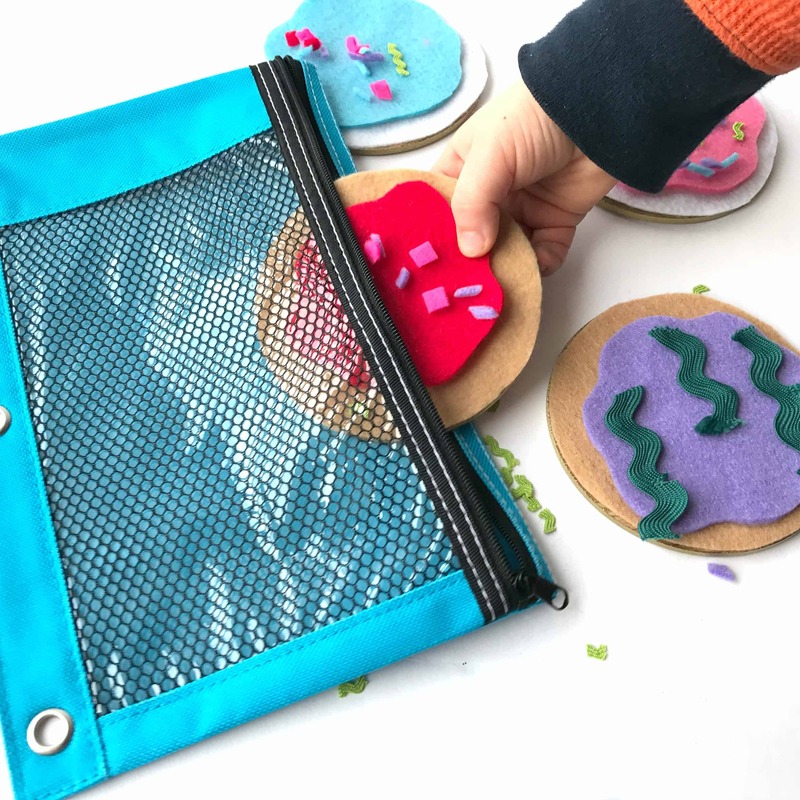 To make the bag a but more challenging for older kids, you can create some fun template cards with a certain color of cookie and frosting with particular sprinkles and see if the kids can create the cookie! My 3 year old would love this! Show your friends on Facebook! 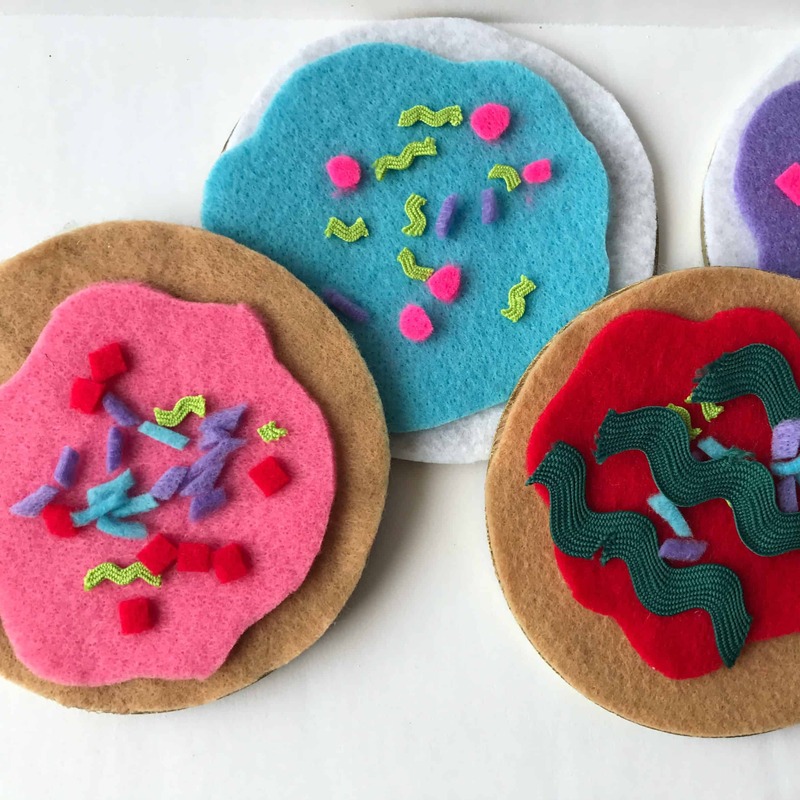 Like felt? We have a few busy bags for you, check out where you can buy them here! This would keep my toddler busy for a while. Great idea! These are precious! Can’t wait to make a set with my little one. Thanks for cohosting the Virtual Book Club for Kids this week! Thank you! My kids have been playing with them non-stop!